For girls about to have their first period in rural India, menstruation can change their lives for the worst. Unable to afford disposable pads and tampons, girls often use rags which they reuse risking all sorts of health complications due to lack of sanitation. Many also decide to drop out of school out of fear that their rags might show or leak blood. “A fear of staining their clothes and being teased or humiliated about it by their male classmates seems to be a major reason of girls themselves choosing to miss their classes,” Maria Fernandez Ruiz de Larrinaga, communications specialist at UNICEF India says. A couple of art students, however, may have found a clever way to help them by making having a period a lot more manageable. 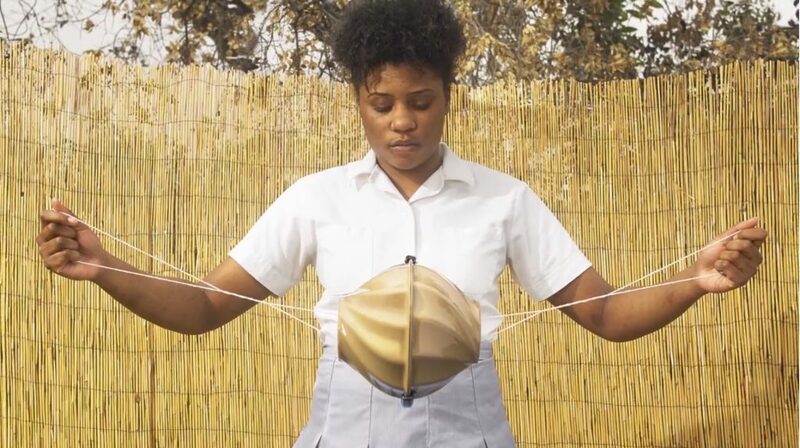 The students at the Art Center College of Design in California made a device called ‘Flo’ which washes and dries reusable sanitary cloths. The design is very simple: two plastic bowls joined by a string which enclose a basket where the reusable cloth can be washed and dried in hygienic conditions. The students made tests using ketchup, soy sauce and animal blood and found they could get the cloths cleaned with half the water and detergent manual washing takes. 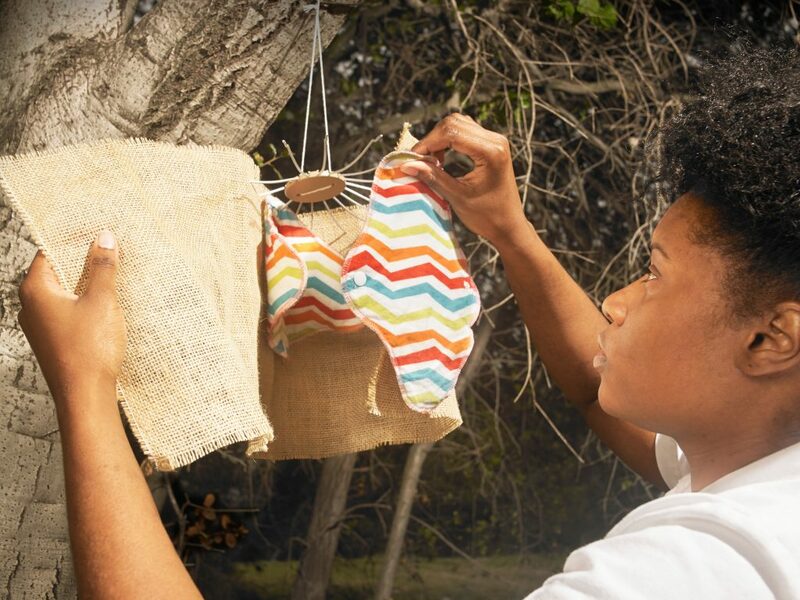 For the drying part, the string and basket can be pulled out to act as a hanger for the wet cloth. This way, the cloth can dry in the sun which kills potentially hazardous bacteria with its UV rays. Often, girls will hide their reused cloths by hanging them on roofs or under their bed (bad idea). The kit comes with instructions that advise putting a burlap cloth over the basket, so no one has to feel embarrassed. A pouch included in the kit serves as a container for the cloth so girls can take it to school privately. The whole kit costs only $3, and another group of students at Yale School of Management is working on having the product deployed. The project is among the winning designs of this year’s International Design Excellence Award. All photos courtesy of Mariko Higaki Iwai.